Tag Archives for " product positioning "
Positioning — It’s not what you SAY. It’s what they THINK. 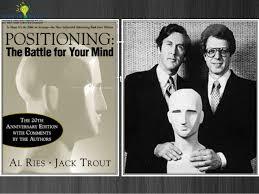 In the 1970’s Al Ries and Jack Trout popularized the concept of positioning strategy. Since then, they’ve written dozens of spin-off books, including Focus, The Immutable Laws of Marketing, Bottom Up Marketing, and even Re-Positioning. Still, you could have a roomful of MBA’s and no two would agree on what positioning really means. Many people can’t even decide if the word is an active verb or a proper noun. Most people think of positioning as a simple step ladder. The cheapest, lowest-end products are “positioned” at the bottom of the ladder, and the best, most expensive products are on the top shelf, if you will. But positioning has little to do with real price or quality. Instead, it’s all about perception. The whole concept of positioning is based on the simple fact that we form opinions about products and companies based on our own perception. These opinions are influenced by all sorts of things… word of mouth, personal experience, individual prejudices, blogs, the marketing efforts of the brand in question and a hundred other factors. In our own minds we make some pretty broad — and often rash — assumptions about things. Call it consumer bigotry if you want to. The fact is, we pigeon hole companies and products the same way we pigeon hole political candidates. As marketers, our goal is to tap into these existing perceptions and use them to our advantage. Here’s a classic example. Back in 1968, before the term positioning was ever invented, the makers of 7-Up scored a huge coup in the soft drink market. 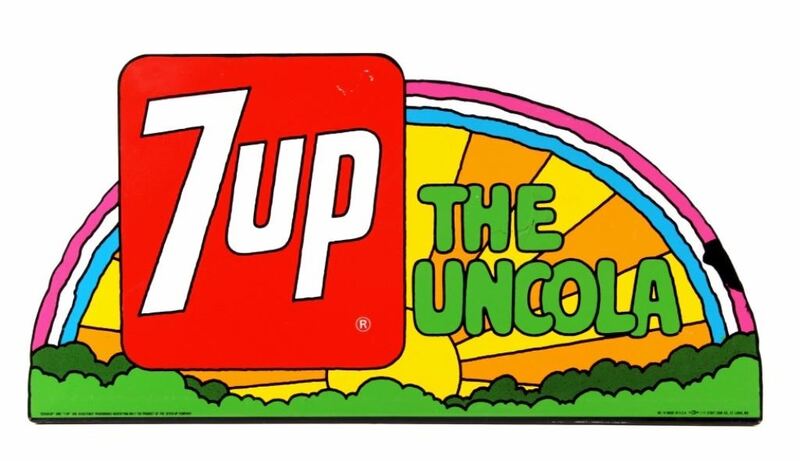 So the 7-Up executives decided to market the drink as the alternative to cola. It was a no-brainer, really. They simply took the existing perception in the marketplace and turned it into their strategy. The creative execution of the strategy, however, was not so obvious. J. Walter Thompson’s simple two-word slogan “The UnCola” said it all. Brilliant! The campaign gave the product a personality, cemented the idea in our collective consciousness, and assured 7Up a place in advertising history. From a positioning standpoint this strategy worked remarkably well for several reasons. First, it didn’t attempt to change anyone’s perception. It simply leveraged the existing public opinion. Secondly, it effectively repositioned the competition. Without slamming them, 7-Up lumped Coke, Pepsi and RC all together in a single boring category of colas. Finally, the new strategy made 7Up relevant to the young people who account for a large portion of soft drink sales. The campaign tapped into the prevalent anti-establishment mind set of the late 60’s. It actively encouraged defiance against the cola establishment and portrayed 7-Up as a symbol of dissent. The entire campaign summarized the popular values of the public and catapulted 7-Up into the position as the third leading soft drink in America. 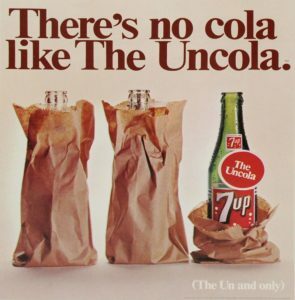 While it is possible to build a positioning strategy around images alone, it’s usually a few simple words like “The Uncola” that solidify things in the consumer’s mind. Because you don’t “position” a product, you communicate its position. “Just Do It” communicates Nike’s position as a brand of everyday athletes. “Pizza Pizza” is a fun way to communicate Little Ceasar’s low-price strategy. “Avis, we try harder” communicated the benefit of being number two in the rental car business. On the other hand, many automobile companies have struggled with their positioning strategy. Oldsmobile, the now defunct GM brand, is a good example. Ironically, the slogan that’s most memorable is the only one that even hints at the reality of Oldsmobile’s perception with American car buyers. 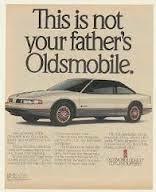 “This is not your father’s Olds” used the old, fuddy-duddy perception of Oldsmobile and spun it in a positive way. Maybe if they’d have stuck with it for more than a year, the brand would still be alive today. You wonder what kind of research Cadillac executives did that led them to believe they could compete with Honda and Toyota in the small car market. The Cimmeron failed miserably back in the 80’s. Then they’re tried again in the 90’s with Caterra, “The Caddi that zigs.” Nobody believed that! Now they’re trying to compete against BMW, Audi and Mercedez. GM finally got the product right with the CTS, but it’s still a classic case of force-feeding a product into a position in the market. Cadillac as a sports car just does not compute with the American public. It goes against everything Cadillac has ever stood for. The world’s biggest, most luxurious SUV is one thing, but we’ll never buy the concept of a small, sporty Cadillac. On the same vein, Porsche is off track trying to compete in the SUV market. “The Porsche of SUV’s” has a nice ring to it, but it will never really resonate with the public that sees Porsche as a rich-man’s sports car. What’s next, Chateaubriand at McDonald’s? There’s an important distinction to be made here between niche marketing and positioning. Cadillac can decide to focus on the luxury sports car niche and can build a car specifically for that purpose. But that does not mean the product will ever be perceived that way in the minds of the consumer. The problem is, Audi and BMW already occupy that space in the consumer’s mind. Here’s another trap that many companies fall into: They mistake their mission statement for a positioning strategy. Fortune-500 companies miss the boat all the time on this. There’s a giant health care provider that recently formed an internal committee to study the “position” of the company and draft a “positioning strategy.” What they came up with was a mission statement at best. But your mission — your statement of purpose — may have nothing to do with your position in the market place. And vice versa. A mission statement is concocted by a committee and exists in corporate brochures, annual reports, and press releases. A positioning statement is formed in the consumer’s mind. A mission statement is the rose-colored view of your company. A positioning statement is the gritty, 16mm view. Positioning is not something you do, it’s something that happens. You can choose a narrow market niche, devise a new pricing strategy and launch a giant ad campaign that, together, may affect people’s perception of you. But you can’t technically “position” anything. Want more classic positioning advice? Read this post.